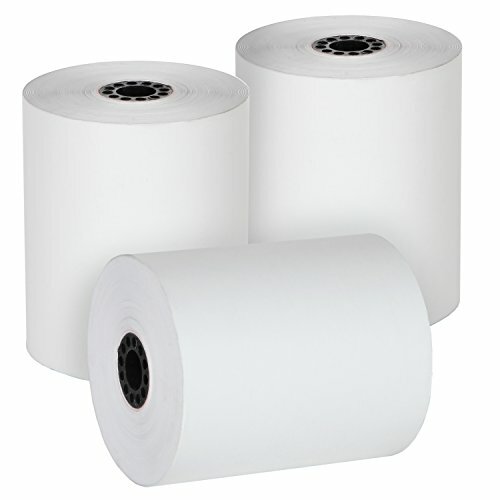 BPA Free thermal paper, 32 rolls per box. High Brightness. 3 1/8 x 230 32 Rolls. BPA FREE - Made in USA or CANADA. Each Paper Rolls has an end of warning signal.